MASKerade: CASology 28 - Drink! 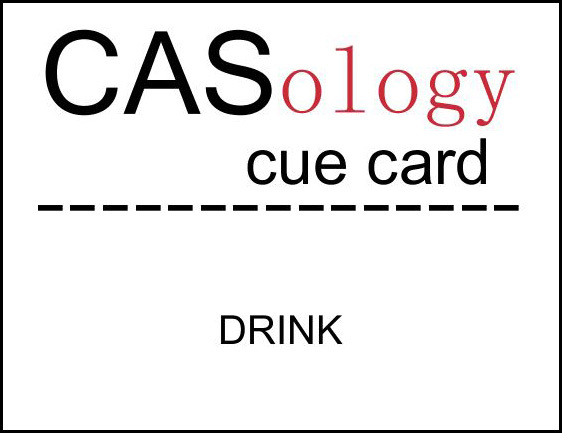 This week's CASology Cue Card is Drink! I did a baby bottle for a pair of drink challenges a few weeks ago, I don't drink alcohol (no judgement, just preference) and I don't drink coffee (again just preference). I was left with water (which is actually what I drink the most of since I kicked my 4 Diet Coke per day habit almost a year ago!) and decided to try something a little different. So these flowers are getting a drink (although now I'm wondering if those Stickles look like snow rather than rain, but it will melt and quench their thirst!) And my focal image is perfect for this CC Designs sentiment. Because the focal image is a little busy, I made sure to leave lots of white space and mat it simply onto a matching (in real life it matches, I promise!) card base. So now we'll drive you to DRINK! Link up your card before the deadline at 4:00 pm (CST) on Sunday. And be sure to check out what the other members of the design team are drinking! lol! Love your take on the cue word! I too, drink lots of water!! Ardyth, excellent matting and I love the Stickles rain--fantastic all around! Staying warm today, it is so cold? 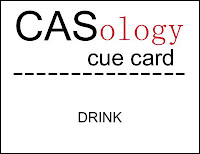 Ahhh....It took me a couple of minutes but I get it...clever take on the cue card. Love it! I love your take on "drink". Clever. A clever design Ardyth! It took me a minute to figure out how this was about a drink! Brilliant! Love those thirsty little flowers getting a drink! I don't drink alcohol either (anymore) although you'd never know it from the number of alcohol related cards I've posted! Never drank coffee until recently either. I was introduced to a Snickers Latte and haven't looked back since! another super clever card, ardyth! so wish i had your ability to think out of the box when it comes to these cue words!! This is so cute! Love the glitter raindrops. You know I always love your cards and your style, but when I read your CASology posts I'm particularly excited to see how you interpret the word in a way that no one else is going to. Of course, flowers love drinking up the rain! Clever girl!! Love your out-of-the-box thinking, Ardyth! This is a fabulous card! I really love your clever take on the cue Ardyth! This is a darling card! What a fresh interpretation you made for the challenge. If I were those flowers I definitely needed nurturing waters. That's what is so fun about the cue words...there are so many directions to go with it. I LOVE your take...I love the flowers getting a drink, and the sentiment is absolutely perfect for this sweet CAS scene! What a fun interpretation of the cue word. I would love to kick my mountain dew habit ~ congrats on quitting your diet coke habit. 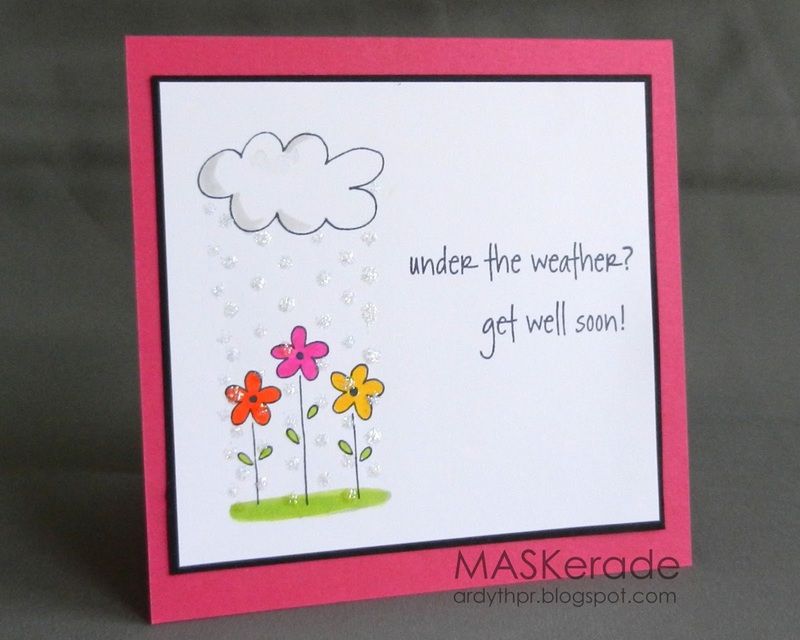 Love the bright colors and sweet flower images you chose!